It’s fun watching a show or movie set in one’s own hometown. Trying to recognize the buildings and neighborhoods and picking up on hometown nuances while picking apart artistic changes is great spectator sport. Spending most of my life in Chicago and coming from a long line of Chicago cops, I am naturally drawn to TV series involving Chicago Police. Though few and far between, I can recall a couple of such shows. 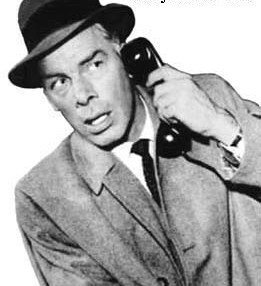 I reme mber back in the late fifties when tough guy actor Lee Marvin was cast as Lt. Frank Ballinger on special anti-organized crime detail in the series M-Squad. I watched it on a regular basis but the only Chicago connections were some street scenes and verbal local references. 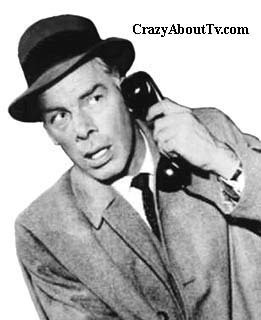 Otherwise, it was just Lee Marvin getting the best of the bad guys. Not bad viewing, but no local flavor. One of my favorite shows in the eighties was Crime Story. It was only on for two seasons but was considered one of the better shows on television. Set in the early nineteen sixties (the good sixties as I call them) it followed a group of Chicago detectives doing battle against an organized crime figure. 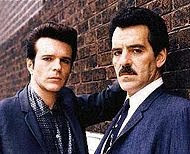 The star was Dennis Farina an ex-Chicago cop. Local research was done on the show and, along with meticulous set and costume design, a real sense of authenticity prevailed. In the second season a major change occurred…the location moved to Las Vegas. I was greatly disappointed at this turn of events but continued to watch. Late last year and early into this year there was much hype about the new TV series Chicago Code. I have to admit that prior to watching the premier episode, I was somewhat apprehensive about the casting of Jennifer Beals as the police superintendant. To me it made about as much sense as casting the late John Wayne as Genghis Kahn the 13th century Mongol leader in the 1957 drama The Conqueror. It’s not that a woman superintendant is not in the realm of possibility…it’s just unlikely in the current situation. Additionally, to have such an attractive woman in charge may be bordering on fantasy. I am sure there are plenty of nice looking female officers out there. However, from what I have seen in real life, there are no Jennifer Beals candidates for the top job. In addition to growing up in a police family, I have always followed local news and politics and have had opportunity to work with the police during my neighborhood watch years. As a result, I found myself very disappointed with Chicago Code. Now I admit that I have only watched the first episode…but that was enou gh for me. Needless to say, it is not my cup of tea. I understand the concept of dramatic license…but…the Irish Mob??? I feel that Italians should be upset at not being credited with generations of hard work. Besides, I thought the Irish Mob were the elected officials! Then there is the Polish cop who doesn’t tolerate profanity and the alderman who seems to be the most powerful figure in the city. I'm afraid that this is too much suspension of reality for me. The corker for me was the car chase in the first episode. Going after a known suspect, the Polish cop engages in a high speed chase followed by a long two column parade of police vehicles. This goes on for a few minutes and the Polish cop even catches up with the suspect and has a side by side high speed conversation with the individual. Well, that kind of did it for me. It is common knowledge that high speed chases are not allowed in the city. On the plus side, I did appreciate the actors attempt to use a Chicago accent. As I probably couldn’t act my way out of a paper bag and don’t possess the talent do a screenplay, my criticism should be taken with much caution. However, it seems as though the general viewing public agrees with me as the rating keep slipping. I wish everyone involved the best, but once was enough for me.